History has seen many kings, and emperors, however, the name Ashoka has its own attraction. Grandson of Chandragupta Maurya, Ashoka Vardhana Maurya was as fierce, courageous and proficient kid right from the beginning, but he had no mentor in the form of Chanakya. Unlike, Chandragupt where his target was the Nanda King, Ashoka’s huge time was spent in battling with his own family members. Ashoka’s mother Subhadrangi (also known as Dharma) was a low ranked queen of Bindusar. Unlike other queens she was not a princess but a daughter of a poor Brahmin. However, she was fair and beautiful. What’s more, her son was destined to become a Chakravartin Samrat and this is the reason why the poor Brahmin brought his daughter to Pataliputra to marry King Bindusar. King Bindusar introduced her in his women’s apartment, and as expected all his wives became jealous of her. Even the chief queen was so insure that they unanimously made her a barber girl. However, she surprised the King with her service. And when the king got to know that she is not an ordinary girl but his own wife, he granted her wish to become a mother of his son. This is when Ashoka was born ending all the sorrows of Subhadrangi. Although the historical fiction Chakravartin Ashoka Samrat displays a very unique and special bond between Samrat Bindusar and Ashoka, the truth is that the king had no soft corner for Ashoka. In fact, according to the chronicles since Ashoka was not a good looking boy, he was looked down by his own father. However, Ashoka made his own spot among his brothers by his exceptional valour, skills and courage. When Ashoka was 18, he was sent to Ujjain as a viceroy. This is the time when he met his first wife Devi who was daughter of a merchant from Vidisha. They both married. In fact, Ashoka’s son and daughter (Mahendra and Sanghamitra) who are famous for spreading Buddhism were the children of Devi only. However, when Ashoka was called by the Samrat again in Pataliputra, he went alone without taking his family. It is said that since Devi was a daughter of a merchant she was not fit to become a prince’s wife. So, although Devi was his first wife, his other wife Asandhimitra (a daughter of a king) became his chief queen. Bindusar’s favorite son Sushim had huge problems with Ashoka for the mere reason that Ashoka was much more efficient and courageous than him. So, he did not leave any chance to create problems in Ashoka’s life. This is the reason why he insisted Bindusar to send Ashoka to Taxila to stop the revolt of Taxila which was under the governorship of Sushim. However, when Ashoka went, he could surpass the revolt just by his talks. This infuriated Sushim further as his plan failed. Next, Sushim filled Samrat Bindusar’s ear against Ashoka which resulted in Ashoka’s exile from Pataliputra. This period lasted for two years. This is the phase when Ashoka met Kaurwaki, a fisherwoman and his future wife. After Samrat Bindusar’s death there was a war of succession between the brothers. In this war of succession, Ashoka killed all his brothers leaving just Tishya, his younger brother alive. Although there are texts which highlights that he killed his 99 brothers, the truth lies in the fact that he killed just six of his brothers. This is some of the facts from the early life of Ashoka, the great. Nevertheless, though Chakravartin Ashoka Samrat was born with a silver spoon, he had to face a lot of hardships in his early life. 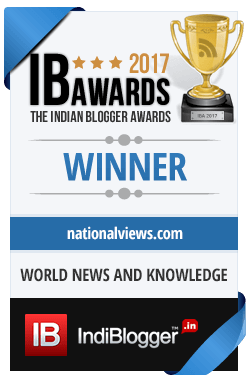 Editor’s Note: NationalViews is a home for people with views and opinions that caters to the changing India. It is a place for the common men to articulate their views and opinions on any topic. A platform where you express and we publish. Mail us your opinion, views, and thoughts at editor@nationalviews.com and we will help you reach out to the masses.